So now I’m trying to lose the belly, I need to lighten up my meals! Got a great recipe for a lighter protein soufflé from James Cooper. 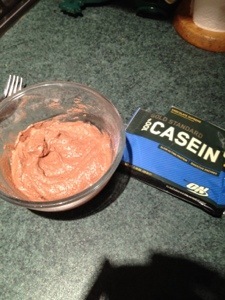 Put on plate; add peanut/ almond or why not try cashew butter! ?